Christian Hurt | Davis Firm P.C. 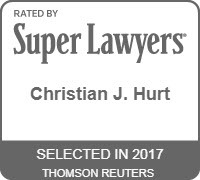 Christian Hurt is a courtroom attorney with a background in intellectual property disputes, primarily patent litigation. He is also licensed to practice before the U.S. Patent & Trademark Office. 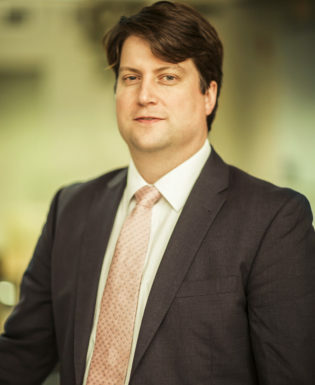 Christian has also worked on matters involving contract claims, legal malpractice, personal injury, and claims against international banks under the Anti-Terrorism Act. Christian has significant experience before the U.S. Court of Appeals for the Federal Circuit. He served as a law clerk for two Federal Circuit judges and regularly briefs and argues appeals before that court. Christian has also briefed and argued cases in district courts across the country. He has argued dozens of district court hearings relating to claim construction and technology tutorials, patent-eligible subject matter, dispositive motions, and key procedural issues. In addition to representing private litigants, Christian tried fifteen jury trials as a volunteer prosecutor for the City of Houston and has served as a court-appointed technical advisor. Christian began his legal career as a law clerk for the Honorable Leonard E. Davis of the U.S. District Court for Eastern District of Texas. Prior to joining the Davis Firm, Christian practiced law at a national contingency fee law firm.